Processional circuits of the congregation in the synagogue on the Feast of Tabernacles, usually around the Almemar, reminiscent of Joshua vi. and the proceedings in the Temple related in Sukkah 45a. 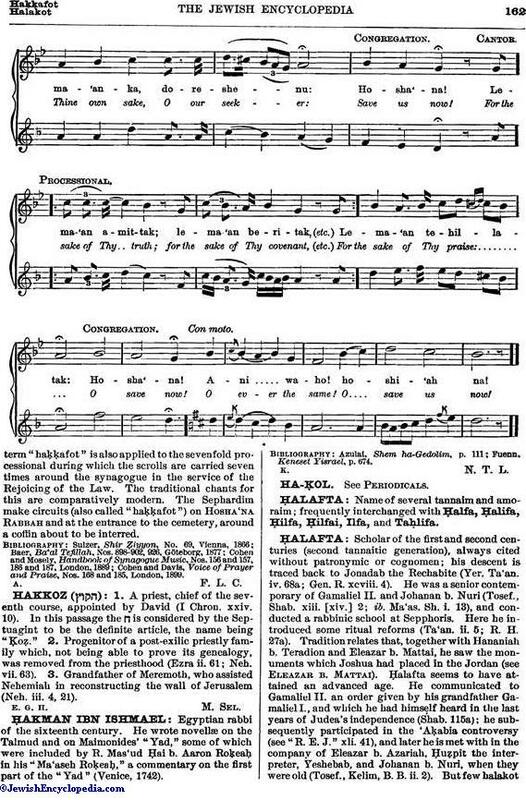 The procession is omitted on the Sabbath, but on other days of the festival a scroll is taken from the Ark to the almemar at the close of the Musaf, and the possessors of Lulab and Etrog join in procession, following the officiant, who chants the Hosha'na refrain and hymn for the day. 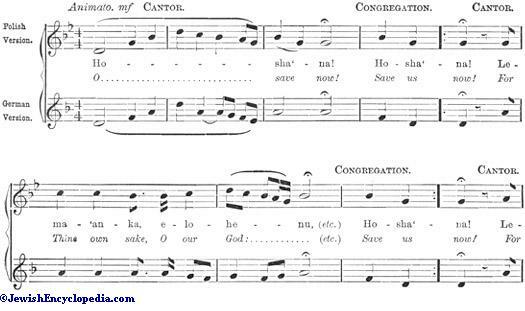 The chant reproduces the sad tones of the Seliḥot, but opens and closes with an intonation peculiar to the festival, as here shown. 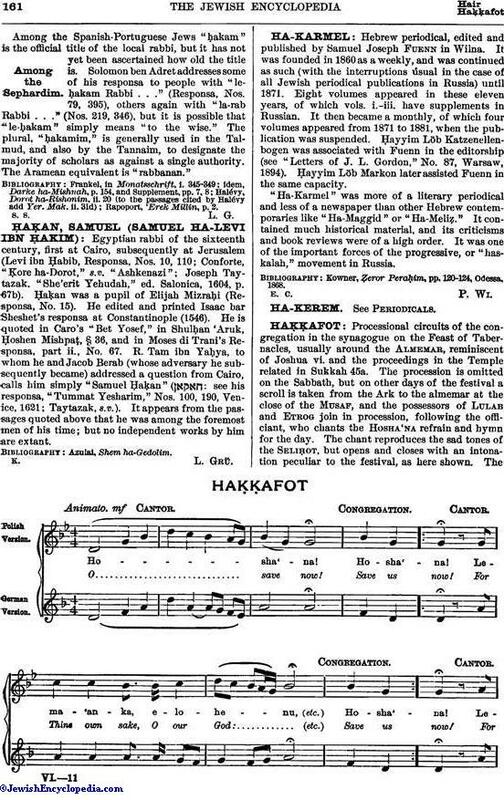 Theterm "haḳḳafot" is also applied to the sevenfold processional during which the scrolls are carried seven times around the synagogue in the service of the Rejoicing of the Law. 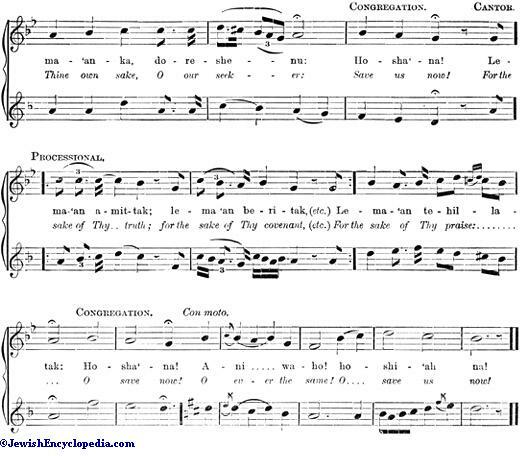 The traditional chants for this are comparatively modern. The Sephardim make circuits (also called "haḳḳafot") on Hosha'na Rabbah and at the entrance to the cemetery, around a coffin about to be interred. Cohen and Davis, Voice of Prayer and Praise, Nos. 168 and 185, London, 1899.